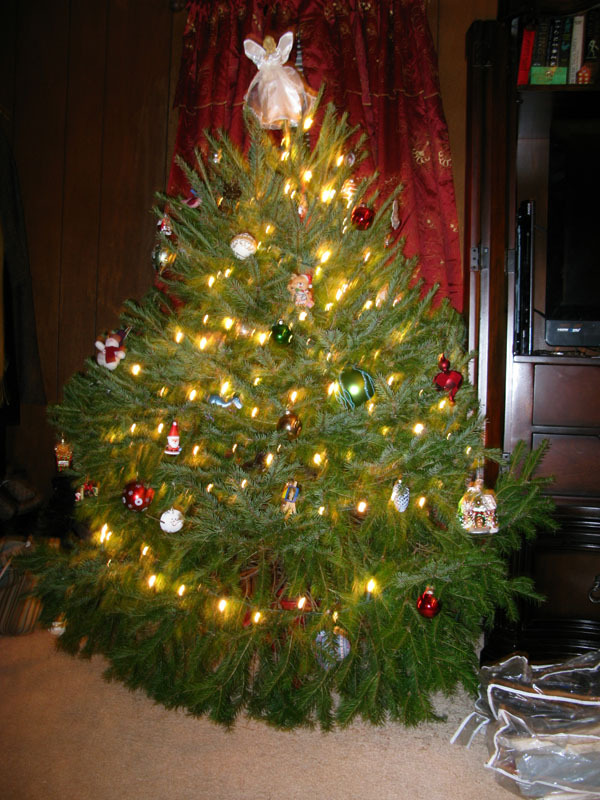 the thin line: Christmas Tree! 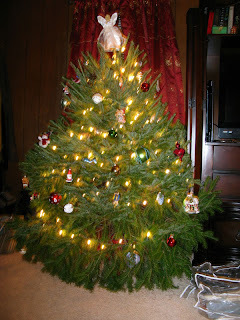 We finally got our Christmas tree on Monday. You may notice that this tree is a lot... different as far as overall shape and size than our tree last year. That is because we are taking turns picking the Christmas tree, and Chris and I happen to have very different tastes in trees. I was very sceptical when he expressed interest in this tree at the tree lot. It really isn't my sort of thing at all. But it looks nice now that it is inside and all dressed up. I just wish it was a little bit taller. It is a lovely, happy little tree! !